Jacked Factory Burn XT is a thermogenic fat burning supplement that will increase energy levels, preserve lean muscle, suppress appetite, boost metabolism, and improve mood. Burn XT contains a significant dosage of caffeine, so makes it more effective as a metabolism booster. We reveal the ingredients, side effects, and the results you should expect. High in caffeine – makes side effects more likely! First published Nov 1, 2016. Using caffeine in weight loss supplements requires a careful balancing act; too little and it will be ineffective, but too much and the chances of side effects occurring increases dramatically. However, for anyone who is not sensitive to stimulants, caffeine combined with other active ingredients can help to boost your rate of weight loss. Below we take an in-depth look at Burn XT to see what benefits it offers consumers. 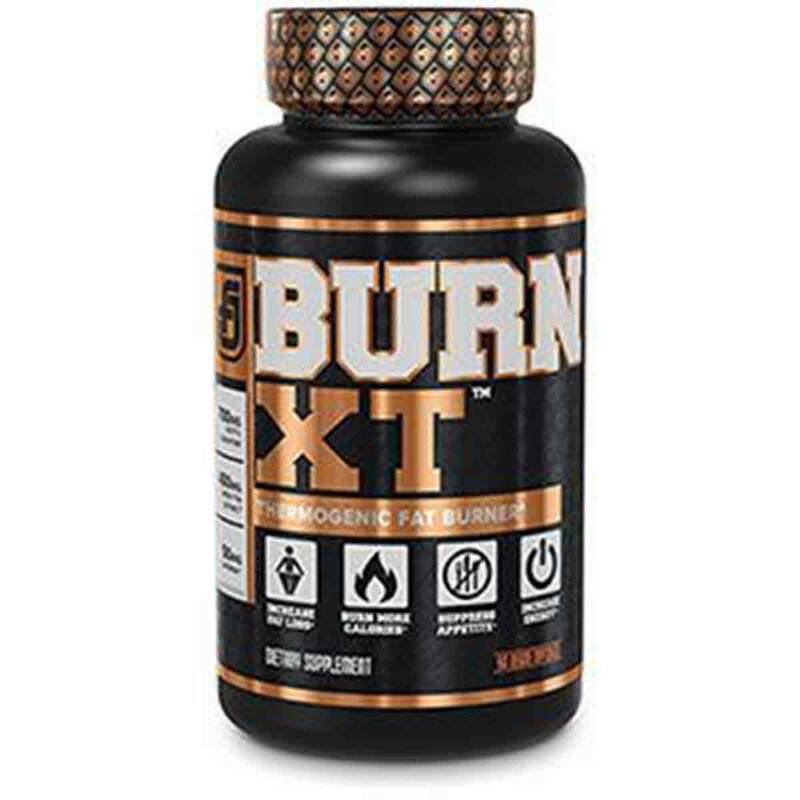 Burn XT is a thermogenic fat burning supplement that, according to the manufacturers, will also increase energy levels, preserve lean muscle, suppress appetite, boost the metabolism, and improve mood. However, when the manufacturers go through the benefits of the individual ingredients, they do not specify which ingredients are supposed to improve mood or suppress the appetite. Caffeine may have a very mild effect upon appetite, but this is not as noticeable as its other effects of boosting the metabolism and boosting energy levels and alertness. Burn XT is covered by a 90-day money-back guarantee when purchased directly from the manufacturer’s official website. What are the side effects of Burn XT? There are several ingredients found in Burn XT that could potentially cause a range of side effects. The potential side effects of L-Carnitine include nausea, vomiting, stomach upset, heartburn, diarrhoea, and seizures. It can also cause the urine, breath, and sweat to have a “fishy” odour. Cayenne extract can cause heartburn, stomach aches, indigestion, increased sweating, and a runny nose. The amount of caffeine found in Burn XT is relatively high, with 135 mg per capsule. Side effects of caffeine can include headaches, increased heart rate, increased blood pressure, heart palpitations, increased urination, dehydration, jitteriness, dizziness, and insomnia. Green tea can also cause constipation. Bioperine increases the bioavailability of other compounds, including some medications; this could increase the chances of side effects from the other ingredients found in the product, or from caffeine consumed from other sources (tea, coffee, etc). Consumers who are taking medication are also more at risk of accidentally overdosing because of the higher absorption rate associated with Bioperine, and so should consult with their doctor before taking this product. How much does Burn XT cost? Burn XT can be purchased from the official Jacked Factory website, where a single bottle costs $29.99, reduced from $49.99. Delivery charges may also apply. It is unclear whether or not this is a permanent price reduction or just a temporary sale price. 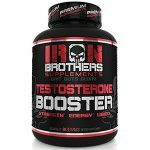 The supplement is also available from Amazon, where a single bottle costs $29.99. Customers who have Amazon Prime can get free premium shipping, but otherwise, a fee may apply. Each bottle contains 60 capsules. The manufacturers state that you can take up to four capsules per day, but we recommend only taking a maximum of three to minimise the chances of side effects. If you are taking two capsules per day, a single bottle will last for 30 days of use, but at three capsules a day it will provide only a 20 day supply. The price falls roughly within the average acceptable price for a weight loss supplement. Burn XT is a thermogenic fat burning supplement that according to the manufacturers will also increase energy levels, preserve lean muscle, suppress appetite, boost the metabolism, and improve mood. However, when the manufacturers go through the benefits of the individual ingredients, they do not specify which ingredients are supposed to improve mood or suppress the appetite. Caffeine may have a very mild effect upon appetite, but this is not as noticeable as its other effects of boosting the metabolism and boosting energy levels and alertness. Burn XT is manufactured by Jacked Factory, a company based in the USA. The company state that they take a “no-nonsense” approach to formulating their products, and pride themselves on using “powerhouse, cutting-edge ingredients” in scientifically proven doses, with “no B.S fillers” and no proprietary blends. They can be contacted using the information found on their official website. There is a FAQ section for each individual supplement they sell, which answers many common questions about supplements. 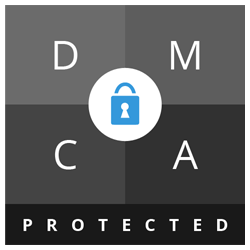 Check here before contacting the company, as the FAQ section might have the answers you are looking for and could save you both time and effort. Regular Use Directions: As a dietary supplement, consume 2 capsules 1-2 times per day before or with meals. What does Burn XT claim to do? BURN BODY FAT & MAINTAIN MUSCLE. Burn-XT is a cutting-edge thermogenic fat burner for men and women. Each capsule contains an effective dose of the most powerful fat-burning ingredients available. Its synergistic formula helps to burn fat, increase energy, preserve lean muscle, suppress appetite, boost the metabolism, and improve mood. Maximize fat loss and see results fast with this powerful weight-loss supplement. SCIENTIFICALLY-FORMULATED FAT BURNER. Burn XT was created using only the best weight loss ingredients in effective doses to help you lose weight. 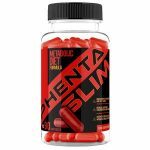 By targeting the fat burning process through multiple pathways in the body, these diet pills attack fat-loss from every angle. SEE RESULTS OR YOUR 100% MONEY-BACK. We stand behind Burn-XT and guarantee your satisfaction. If for any reason at all you aren’t completely satisfied with your results from this fat-burner we will work to resolve your concern or arrange for a full hassle-free refund on your purchase. 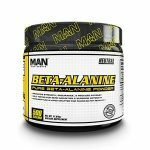 Acetyl-L-Carnitine (ALCAR) is an amino acid, and so could help to feed and therefore preserve muscle mass whilst losing weight. However, ensuring that you have enough protein in your diet will also have this effect. ALCAR can also help to reduce fatigue. The catechins in green tea increase thermogenesis in the body, helping to burn calories. Overall, its effects are described as “small but significant” in studies, and Burn XT contains a significant dosage. Caffeine also helps to burn calories, but by stimulating the metabolism directly. Again, its results are described as “small but significant”, but it also boosts energy levels. Cayenne works to increase thermogenesis in the body, which helps to burn more calories. Overall, this formula appears to be quite likely to aid some weight loss, provided you can tolerate the caffeine dosage and the increased sweating (a common side effects of thermogenics). The ingredients found in Burn XT are detailed below. The ingredient quantities listed are per serving of two capsules. Consumers can take up to four capsules in a 24 hour period, but customer reviews suggest that two or three capsules over the course of a day is a better dosage. The amount of caffeine found in Burn XT is relatively high, with 135 mg per capsule, roughly the same amount as that found in a large coffee. Side effects of caffeine can include headaches, increased heart rate, increased blood pressure, heart palpitations, increased urination, dehydration, jitteriness, dizziness, and insomnia. Avoiding taking this supplement in the evening, drinking plenty of water, and avoiding other sources of caffeine will help to reduce the chances of side effects occurring. Green tea can cause constipation. Caution: Not suitable for pregnant or breastfeeding women. Not suitable for anyone under the age of 18. Before using this product, consult a licensed, qualified healthcare professional. Do not use if you are using an MAOI (Monoamine Oxidase Inhibitor), SSRI, blood thinner, or if you are taking any other dietary supplement, prescription drug or over-the-counter medicine. Do not use if you have been treated for, diagnosed with or have a family history of any medical condition, including but not limited to high or low blood pressure, diabetes, anxiety, cardiovascular, psychiatric or seizure disorders, cardiac arrhythmia, stroke, heart, liver, kidney, or thyroid disease, or difficulty urinating due to prostate enlargement. This product contains caffeine and should not be used by individuals in combination with caffeine or stimulants from other sources, including but not limited to coffee, tea, soda, other dietary supplements and medications. Discontinue use two weeks prior to surgery. Immediately discontinue use and consult a licensed, qualified healthcare professional if you experience any adverse reactions to this product. Do not exceed the recommended serving size. Do not exceed four capsules (two servings) in a 24 hour period. Do not use if safety seal is broken or missing. Store in a cool, dry place. Keep out of reach of children. There are hundreds of customer reviews for Burn XT on Amazon, with the majority of them being positive. Some side effects are reported, especially when taking a higher dosage. Gross! Gross! Gross! I purchased this product because the reviews were exceptional. And while I do believe that this product works for people, there is one thing about it that makes it pretty much unacceptable for me. THIS PRODUCT MAKES YOU SWEAT NONSTOP THROUGHOUT THE DAY. I read about “the sweating” in other reviews but for some reason I figured it only pertained to working out. I work-out 5 days a week. I decided to try Burn XT on the weekend, the two days that I do not work out. But I still ended up sweating so much that I had to change my under garments which is gross. In other reviews people talk about how Burn XT made them sweat a ton when they worked out so I figured that when I worked out the same would happen to me. But this product makes you sweat ALL THE TIME. I spent my weekend at the desk on my computer and I was sweating like I was in the desert sun. Sorry…not cool. I like sweating during a work out but I don’t want to spend my day all funky and sweaty if all I am doing is sitting at a desk. GROSS! Nope…unfortunately after a rather icky weekend of immense sweat for NO reason I was forced to return my purchase of Burn XT. This product is alright, but just note it will be costly to keep up. You take 4 pills a day, and there are only 60 in each bottle. Also, it doesn’t really suppress my appetite; it mostly just gives me a tummy ache. I feel nauseous after taking the pills, and I’ve even felt that I was going to puke. I’ve been taking the pills for about 9 days now, and I’ve lost 3 pounds. But I haven’t decided if it’s worth it yet, if I’m just going to constantly feel like I need to throw-up. Been taking for 2 weeks. Definitely reduced my Urge to eat everything in site. Only lost 2lbs but I will take that. I wasn’t sure if it was working at first, I was only taking 1 pill in the am and then bumped it to 2 and man, my body is hot all day. The thermogenics really work with this. I’ve recently started taking 2 in the am and 1 in the pm and I am hardly hungry at all. With excerise and this I feel a lot better. Going on week 2 and love the product so far! My cravings have calmed down significantly and I’m able to work out longer and harder. My stomach did take a bit of time to adjust to the product but that’s usually the case with these type of supplements at first. Will have to check back in. I took one bottle of this according to the instruction given. No result at all. My weight maintained to be exactly the same. A bit disappointed. The manufacturers of Burn XT offer a 90-day money-back guarantee, which starts from the date of purchase. “Please contact [email protected] with a valid order ID to request a return. Our 100% Money-back guarantee is valid on the first purchase of any Jacked Factory product. Simply return the product to us within 90 days of a purchase. This guarantee does not include return shipping & handling fees. The returns policies of third-party retailers may vary. Burn XT contains a significant dosage of caffeine; whilst this makes it more effective as a metabolism booster, it also increases the chances of side effects. Anyone who is sensitive to caffeine should avoid this supplement. The manufacturers of Burn XT state that you can take up to four capsules per day, but we feel that taking four capsules per day is too much due to the high caffeine content of the capsules. Assessing your personal tolerance by taking just one capsule for the first few days is highly recommended, and consumers should limit their caffeine intake from other sources, or stop drinking caffeinated drinks completely if taking a higher dosage, in order to reduce the chances of side effects. We have found several negative reviews complaining about increased sweating whilst taking this supplement. Whilst increased sweating is unpleasant, it is a sign that the thermogenic aspect of the supplement is working, increasing heat creation in the body to burn more calories. Increased sweating is your body’s way of regulating your temperature. Drinking more water whilst taking this supplement is heavily recommended. The supplement should theoretically work to burn more calories and boost energy levels, but some of the other claims made by the manufacturers are not as strong; the supplement does not contain any notable appetite suppressants or mood boosters, for example. The company offer a detailed warnings list about health precautions and restrictions for who should not take the supplement (many other companies do not go into such detail). The product is covered by a 90-day money-back guarantee when purchased directly from the manufacturer’s official website. Overall, we do not recommend Burn XT to our readers.